SOMEONE NEEDS TO BE HIS FRIEND, AND THIS DOG IS NOT HAVING IT. Will you be his buddy? YES, OF COURSE! ANYTHING FOR HIM. Nah, I’m with the dog on this one. Too clingy. 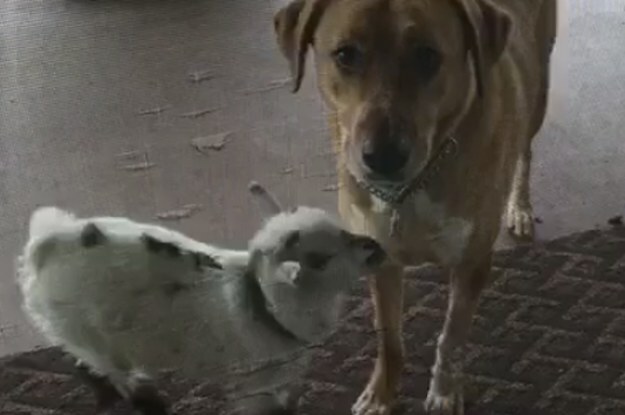 Will You Please Be This Little Goat’s Friend? Oops, something went wrong! Looks like we are having a problem on the server. Please try again later. Will you be his buddy? votes YES, OF COURSE! ANYTHING FOR HIM. votes Nah, I’m with the dog on this one. Too clingy.